Incontinence is something that most don’t like to talk about yet it’s incredibly common among older people and can be a difficult condition for your parent to cope with. Affecting the bladder or the bowels incontinence carries an unfortunate stigma that often prevents suffers from getting the help they need. Your parent may become incontinent due to an underlying medical condition such as a urinary tract infection or it may be as a result of the medication they’re taking to manage another health issue. Sometimes incontinence can occur for no reason other than your parent’s pelvic muscles weakening as they get older but trouble with going to the toilet can also be caused by prostate problems as well as bowel conditions like Irritable Bowel Syndrome (IBS). It’s not inevitable that your parent will have to cope with incontinence when they get older but, sadly, it’s also not something that’s easily prevented. It’s an incredibly intimate and unpredictable condition that often has few warning signs but it’s important to remember that with the right treatment your parent can still live comfortably with it. Managing incontinence takes many forms from medication and prescribed exercises to incontinence aids and even surgery. Ensuring incontinence doesn’t affect your parent’s quality of life will help them to adjust to what can be a distressing health issue to deal with. How can I get my parent the help they need? If your parent’s having trouble with incontinence it can be embarrassing for them to admit there’s a problem. While they may open up to you, a friend or their GP about the condition they may try to hide what’s happening by refusing to leave their home or withdrawing from family life. If your parent is hesitant to talk to you about their health and you’re concerned incontinence has become an issue for them the first step to helping them manage and treat it is to visit their GP for an assessment. The doctor will review their symptoms as well as any medications or underlying conditions that could be causing the incontinence in order to devise a care plan. While your parent’s GP may find the cause quickly there could also be a chance that their assessment is inconclusive. Requesting a referral to one of the NHS’s continence clinics will help to uncover any hidden causes of your parent’s incontinence and lead to specialist treatment. You can call the Bladder and Bowel Foundation on 01536 533255 to find the details of your parent’s local clinic. What kind of incontinence does my parent have? Depending on the type of incontinence your parent has their GP or specialist continence adviser will be able to recommend the appropriate treatment and management. Stress urinary incontinence. This type of incontinence tends to be the most common and is caused by a weakness to the pelvic floor muscles. Some operations on the bladder or prostate can lead to stress urinary incontinence. Urge incontinence. This is caused by an overactive bladder which contracts often and provides little warning before a sudden urge to go to the toilet which can lead to accidents. Nocturia. If your parent is frequently waking up in the night to pass urine they’re experiencing Nocturia. It’s more common for those over the age of 60 and can sometimes lead to sleep deprivation. Problems emptying the bladder. If your parent’s bladder feels full all the time it can lead to small leaks on a regular basis. Leaks could be a symptom of constipation as the bowel presses on the bladder. Functional incontinence. This is largely due to mobility issues or even conditions such as Parkinson’s and Alzheimer’s which can affect your parent’s ability to recognise their need for going to the toilet or their ability to get to the toilet in time. Bowel incontinence. This can occur if your parent has had a bowel operation but it can also be symptomatic of an underlying physical or neurological condition. MS, dementia and Parkinson’s as well as IBS can all be responsible for this type of incontinence. Age UK have a simple fact sheet about the types of incontinence and the treatments available that you can download from their website. After seeking profession medical advice your parent may be prescribed certain medications to control and even cure their incontinence. Stress urinary incontinence. Anticholinergic medicines treat urinary incontinence by blocking the signals between your parent’s brain and bladder to prevent their over anxious mind dictating their bladder movements. Urge incontinence. Your parent may be prescribed an antimuscarinic which helps to prevent bladder muscle spasms reducing the feeling of urgency your parent experiences. It can also be managed through bladder retraining. Nocturia. Your parent can help to reduce night time trips to the loo by limiting the amount of fluid they drink in the evening. Their GP can also prescribe Desmopressin to help supress night-time urination if it frequently disturbs their sleep. Problems emptying the bladder. Pelvic floor exercises as well as changes in diet and exercise can help to alleviate any leaks your parent may have due to constipation. Functional incontinence. Physical and psychological health conditions can get in the way of your parent going to the loo. Seeking the advice of their carer, GP or continence consultant should be the first port of call to managing it correctly. Bowel incontinence. If your parent is suffering from this type of incontinence it’s best to speak to their GP in order to diagnose the cause and suggest ways to treat it effectively. As with any medication that alters the way your parent’s body functions you may find that certain treatments are not suitable for elderly patients or those taking multiple medications for other health conditions. As well as medically treating incontinence there are many products available privately and through the NHS that your parent can use to help them manage the condition. Protective furniture covers so your parent doesn’t have to worry about soiling their favourite chair or sofa. Absorbent pads for urinary and bowel incontinence. You should aim for absorbent products that will keep any bedding or seats dry for a maximum of six hours. Depending on the severity of your parent’s incontinence symptoms and how they want to manage the condition they can opt for washable or disposable incontinence products. 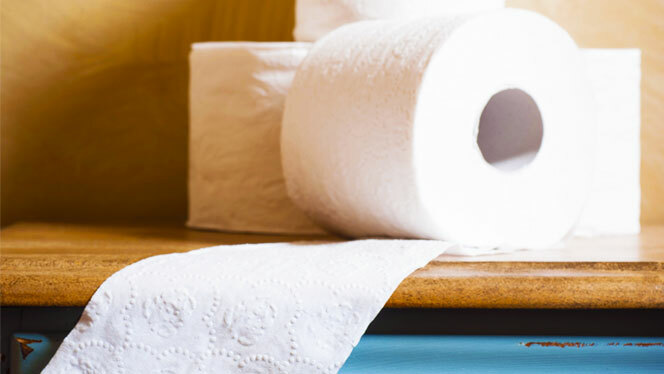 While disposable products are convenient and hygienic because your parent can throw them away, washable products can be more economical for those with prolonged incontinence problems. As well as ensuring your parent is kitted out with the necessary medicines, aids and equipment there are also other methods they can employ to manage their incontinence effectively. Drinking the right amount of fluids on a daily basis will help your parent to regulate their system more and keep their bodies properly hydrated. Older people with incontinence should be drinking between 1500 to 2000ml every day in order to maintain an adequate fluid intake, spread evenly throughout the course of the day. A change in diet is also advised, especially if your parent is experiencing faecal incontinence. Incorporating more fibre such as granary bread and bananas into their diet will help to prevent constipation and keep their bowel movements regular. If your parent has problems with their mobility incontinence can fast become a difficult condition to manage. Their continence advisor along with their occupational therapist should be able to advise you and your parent on the right aids and equipment as well as arrange extra support from social care services to help your parent manage their incontinence. If your parent has a carer who regularly visits them their incontinence care could become a part of their care routine. This will probably involve a conversation with the care agency you use to ensure the carers they provide have adequate training to deal with such intimate care work. Allowing your parent to maintain as much of their independence and dignity as possible while dealing with incontinence is an important aspect of managing their care. With regular continence consultations, preparation and adjustments to your parent’s lifestyle incontinence can be solved easily, in a way that works best for your parent. Care Shop are specialists in continence care and have a wide range of incontinence products available on their site for you and your parent to browse and buy. Visit www.CareShop.co.uk for more information.